Between the lakes at Windermere and Coniston is Esthwaite Water and at the head of this smaller lake is the chocolate-box village of Hawkshead. 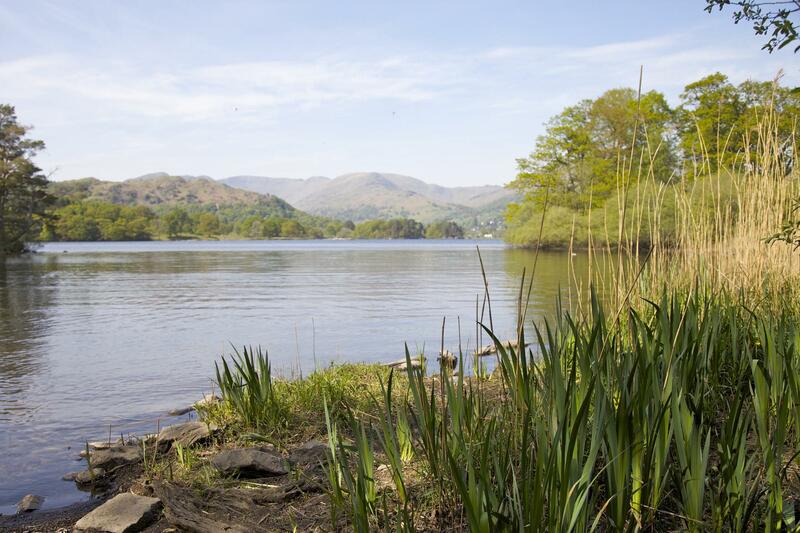 Beloved of both of Lakeland’s most-celebrated writers, Beatrix Potter and William Wordsworth, it is a beautiful part of the Lake District for a camping or glamping holiday. Surrounded by quintessentially Cumbrian rural scenery of meadows, fells and woodland, Hawkshead offers peaceful camping within easy reach of the sights of the South Lakes area. At the head of Esthwaite Water, the pretty village of Hawkshead is home to a chocolate factory, a slew of good pubs, the renowned Beatrix Potter Gallery and a good tourist information centre in which to get your bearings. OS maps and hiking boots adorn every shop window and mountains dominate the horizon. 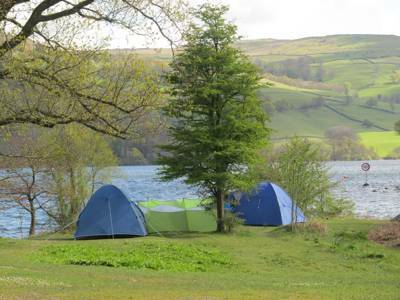 If you want a camping or glamping holiday in the heart of the Lake District, but away from the hustle and bustle of the larger lakes, a Hawkshead campsite is well worth considering. Situated not far from Ambleside, between Windermere and Coniston Water, the village is a tangle of narrow streets and alleyways that are a delight to explore with cosy pubs and quaint tea rooms to fuel your Lake District exploration. Outside its pedestrianised streets, it’s rural scenery all the way; offering plenty of perfect places to pitch a tent. We’ve travelled the length and breadth of England's largest national park to find Lake District camping and glamping sites that we think Cool Camping’s legions of fans will approve of. 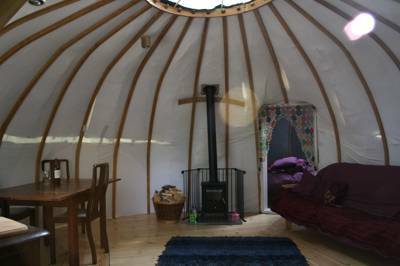 There are simple farm-based sites where a fantastic location gives a place an edge and incredible glamping sites where you can stay in bell tents, yurts, tipis, shepherds’ huts, gypsy wagons and more. 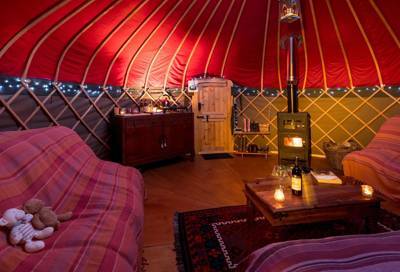 Camp in or near Hawkshead and you won’t find yourself short of things to do. 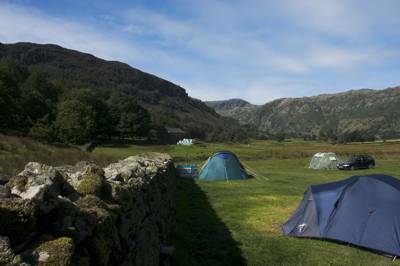 If you’ve chosen a camping or glamping holiday in the Lake District, chances are you’re here for activity of some sort: hiking, fell walking, climbing, mountain biking or watersports of some description. Or perhaps you’re just here to absorb the scenery that’s been inspiring artists and writers for centuries. Either way, a base in Hawkshead is a great place to start. Exploring the village itself is a great way to while away a few hours. It’s a maze of 17th century, higgeldy-piggeldy buildings housing tea rooms, pubs and galleries – including the Beatrix Potter Gallery, in the former office of her husband. There’s also the Hawkshead Chocolate Factory where kids can join a workshop to make their own chocolatey treats. A relatively short walk will get you to the shore of Esthwaite Water; an altogether more peaceful lake than its larger neighbours that's well-known for its trout fishing. Anglers will want to hook up with the Esthwaite Water Trout Fishery for a permit to fish the waters from the banks or boat. Hikers and ramblers might want to head for Latterbarrow or Claife Heights, both in between Esthwaite and Windermere offering great views, or to Tarn Hows between Esthwaite and Coniston Water. By Lake District terms these are easy walks and seasoned hikers and experienced fell walkers might fancy something a little more challenging like the high peaks of the brilliantly-named Crinkle Crags to the north. Back around Hawkshead, mountain bikers can pedal between the trees at Grizedale Forest, three miles from the village where nature walks, sculpture trails and treetop adventure are also on offer. And there's more gentle cycling along a route from Wray Castle, a Gothic revival castle that’s open to visitors, along the western shore of Windermere. Another local attraction is Hill Top, Beatrix Potter’s former home, not far south of the village at Sawrey. 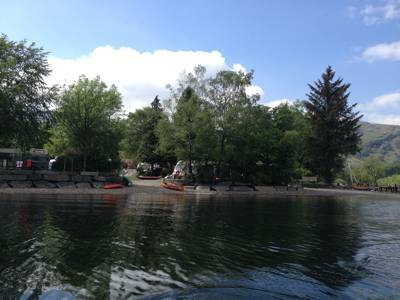 Camping in Hawkshead also gives a peaceful base from which to enjoy Windermere and all its attractions from the steamers that cruise the waters to the World of Beatrix Potter, Lakeside and Haverthwaite Railway and the Lakeside Aquarium. Esthwaite Water Hawkshead Cumbrian Cumbria Lake District Beatrix Potter tent campervan camping campsites at Hawkshead Camping, Home to a chocolate factory, a slew of good pubs, the renowned Beatrix Potter gallery and a good Tourist Information Centre in which to get your bearings, the pretty village of Hawkshead in the heart of the Lake District is the perfect centre-piece to any camping holiday.